Different gaming mice are available on the market, and they vary in terms of comfort, design, and features. 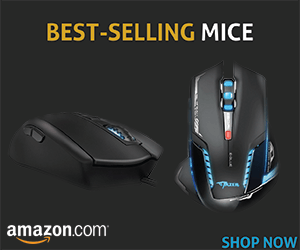 Not only it is hard but almost impossible to find all above factors in a single mouse. However, in recent past, we have seen companies developing mice based on the user’s choices. These choices vary on different things, e.g. mouse grips, comfort level, price and so on. The Razer Naga Molten is a typical high-end MMO gaming mouse which gives you the best of all. It is generally preferred to be used for Massive Multiplayer Online (MMO) games. It is an ultra-modern mouse designed to maximize performance and efficiency. The Razer Naga Molten has an approximate weight of 4.7 ounces with 8.6 x 6.3 x 2.6 inches. Setting it up can be a bit tough for beginners. It requires a one-time internet connection for activation and license acceptance. Unlike conventional device drivers, it can be a bit time consuming as well. 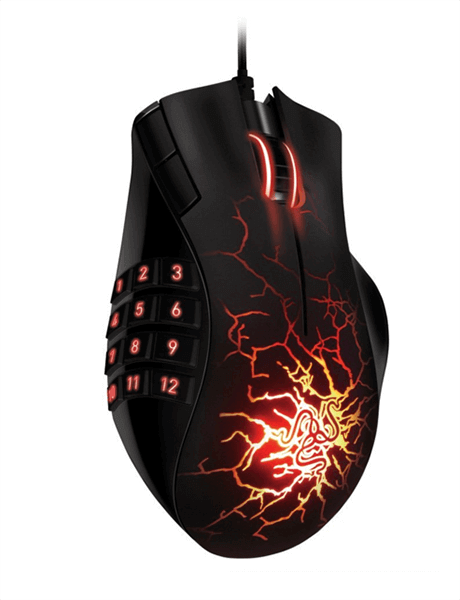 The Razer Naga Molten features 17 fully programmable buttons to effortlessly access features and macros. These buttons are designed and shaped to add into a user’s productivity. The 12 thumb grid buttons are directly mapped to the keyboard’s upper numeric keys by default. As most MMO games use upper numeric keys for game play and skill set, the Razer Naga Molten gives you that control right under your palm. However, You can map key combinations yourself for all 17 keys, including these 12, using its driver software. You can also program these keys according to your own use and use it for any other task to increase your work productivity and efficiency. 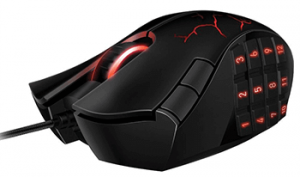 Another important feature for this exclusive MMO gaming mouse is that it has integrated in-game support for popular MMO games. It means you can organize and manage your skills within the game through its in-game custom interface AddOns. When it comes to precision and accuracy, I know how important both are to games. All computer multiplayer games require precision and accuracy. Razer Naga Molten doesn’t disappoint us in this department. It features 5600 dpi with 3.5 G laser sensor, the Avago ADNS 9800, which is a pretty amazing sensor that is also used by many other manufacturers for their MMO mice. Without getting into a long debate of whether laser is better than optical or vice versa, I would like to sum it up with one line only. It depends on the surface and user preference. This is one of the best ergonomic mice we will ever review. The ergonomic design of Razer Naga Molten gives the best feel and comfort for a wide range of hand shapes, sizes and grip styles. The beauty of its design is that even after too much functionality, its intelligent design makes sure that all keys are within easy and comfortable reach. Last but not the least, the glowing cracked surface design with blazing backlighting adds up to its exciting and exclusive look. Since too much exclusivity is attached to this model of a mouse, therefore, there are many things that can go against it as well. e.g: All the consideration for design is just for right handed users. The design totally goes against its motive when used by any left-handed person. Secondly, people with large hands will have difficulty adjusting to it because of the inconvenient positioning of buttons. On a conclusive note, it is an exclusive MMO gaming mouse which can be used for general purpose, too. However, it is for a limited audience. Buy it only if you find yourself in that group.